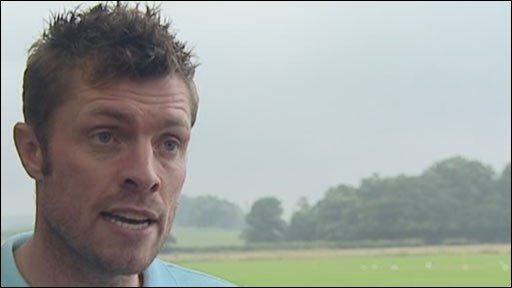 Port Vale have announced they have brought in veteran former Fulham and Birmingham City striker Geoff Horsfield as player-assistant manager. The 35-year-old had retired from football last October after being diagnosed with testicular cancer. He successfully recovered and joined Lincoln City in a player-coach role in January, scoring once in 17 games. He told the club website:"I am looking forward to it, it is something I have always wanted to do." "From turning 30 I have always wanted to come into the coaching side and Micky Adams has given me the chance to keep on playing. "I want to play most of the games and Micky is going to teach me the ropes," he continued. The former Halifax and West Brom striker added: "The problems I have encountered over the last 12 months are now behind me. "Getting cancer was something I had to get over. I got it, wanted to beat it and I did. Now I am just glad that I've got another chance in football. "I am going to learn a lot with Micky Adams. He has given me a leash to work with the strikers and do some scouting as well, but first and foremost I have got to get my fitness and my match fitness." Horsfield made his name in the 1997-98 season when he scored 30 goals in 40 games to help Halifax into the Football League, whilst still working part-time as a bricklayer.